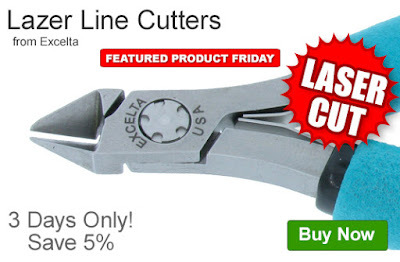 Save 5% off the Q Source price of Excelta’s Lazer Line Cutters. Our FPF062416 Coupon Code is auto applied when you add an eligible cutter to your shopping cart. This Featured Product Friday (FPF) promo is valid from today, June 24, 2016 through Sunday, June 26, 2016 and the code is unlimited use. Lazer Line Cutters are manufactured from ball-bearing steel, laser cut for consistency and CNC machined to meet exact specs. Their induction-hardened blades meet 64/65 Rockwell “C” requirements and are made for electronics and bio-medical applications. For further questions about Featured Product Friday, please read our informational blog post, call us (800-966-6020), or send us an email. Please note: This promo is valid only at QSource.com and expires on June 26, 2016.